Part of Endeavour Foundation, QArt is a studio and gallery provides employment, mentoring and training for a talented group of professional artists with a disability. 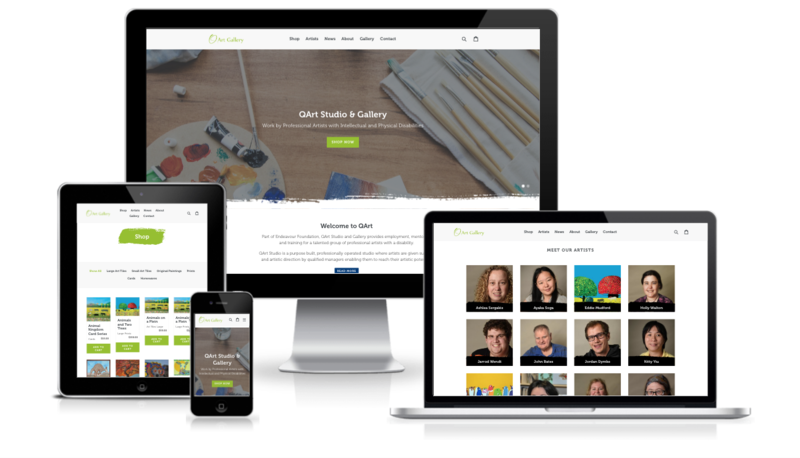 Although QArt had an existing website, it did not have eCommerce functionalities and it did not present the full potential of the artists’ work. We designed QArt’s new eCommerce store in Shopify, we implemented pages that showcased the products and artists’ work, a gallery page and a news page were also newly implemented which shows the latest projects and updates of QArt. We designed the website in line with the brand and industry, we introduced the use of brush strokes as part of the visual elements for the online store. The end result is a new, modern and up to date eCommerce store in Shopify. The clients are able to update content and new products as they wish, they can also fulfil orders online which encourages more buyers interstate and internationally.